Such an exciting time! Such a catalytic year ahead! We are thick in the evolutionary process of humanity as well as the galaxy and the Universe! For all three are intricately intertwined and interrelated in this great venture. And YOU are an integral part of this whole enterprise. You play a significant role and can have far reaching influence and effect. Simply by exploring thyself, knowing thyself and Being YOU! The Lunar Eclipse of Jan 20-21st 2019 has astrological significance in the progression of the human Soul from a Sidereal Astrology perspective. Sidereal astrology being that of the Ancient civilizations Egypt, Greece etc., long before the 6th century Pope ordered the leading scientist of the time to gradually shift the focus from a galactic perspective to one where the earth is the center of the universe. Although incorrect astronomically it is true to the extent that Earth is the microcosm of the universe in this evolutionary leap. Therefore your being here at this time is powerful and meaningful! After you have completed practices to bring out of shadow aspects you desire to transform, set in that which you desire to feel 6-12 months from now on the four levels of you (physical, emotional, mental and spiritual) in some physical way. Using Young Living oils such as Magnify your Purpose, Inspiration, Build your Dream, Fulfill your Destiny, Harmony, Joy or Transformation ceremoniously place them on your body as an anointing. Essential oils. Or write words/ideas that you wish to incorporate in your life on a pitcher or bottle of water, charging the water then either drinking or bathing in it. Make a collage of pictures and drawings of how you want to feel 6-12mos from now. 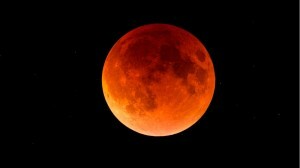 This Lunar Eclipse is going to be visible in its entirety from the entire North and South American continent, Europe and West Africa and at its perigee will reveal what is termed a Blood Moon, for it will have a red tint. A powerful ‘statement’ of the earth’s shadow and all the bloodshed over the 1000’s of years of the Piscean form of duality exploration. An exploration wherein the masculine dominated, held power over and oppressed in order to control the resources for the few. The breathtaking awe is that in that moment both the Moon and the Stars will be visible which is exceptional. Symbolizing that the feminine way of Connection, Communication, Cooperation, Collaboration and Communion will shine forth. The Stars representing the ‘Individual’ shining as each take self responsibility and speak their truth and participate in this ‘game’ with human and soul level maturity. And as each of us come to know and love all parts of us, incorporating the Shadow with the Enlightened aspects, the amount of separation decreases internally and externally allowing for Diversity within Unity! January 20, 2019 in energetics.